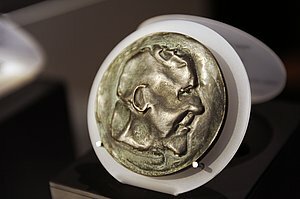 After delivering the Holst lecture, the speaker will receive the Holst memorial Lecture Award, an artist medal designed by Dutch Master sculptor Jos Reniers. Candidates for the Award are selected by a committee under the joint chairmanship of Frank Baaijens, Rector Magnificus of the TU/e, Greg Nelsen, head of Signify Research, and Henk van Houten, CTO Royal Philips. The 2018 scientific committee consists of Franklin Schuling (Royal Philips) and Milan Petkovic (Royal Philips and TU/e), Jean Moonen (Signify Research) and Wijnand IJsselsteijn (TU/e). Secretary to both committees is Joep Huiskamp (TU/e).